What do you get when you take Joya de Nicaragua's most well-known blend (Antaño 1970) and refine it to include only vintage tobaccos?... Joya de Nicaragua Antaño Gran Reserva, that's what! 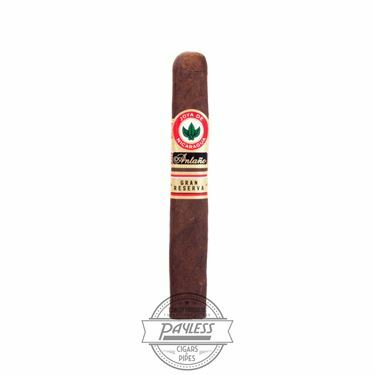 This fine specimen was originally released in 2005 as a limited edition offshoot of the JDN Antaño 1970; making use of the same tobacco varietals, but increasing the age to include five-to-six-year-aged leaves throughout the blend. 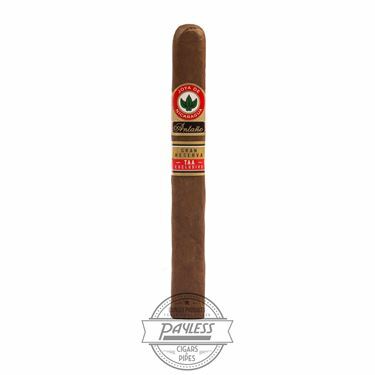 Commemorating the Antaño 1970's 15th anniversary, Joya de Nicaragua Antaño Gran Reserva is now a regular release that enthusiasts can enjoy to their heart's content! 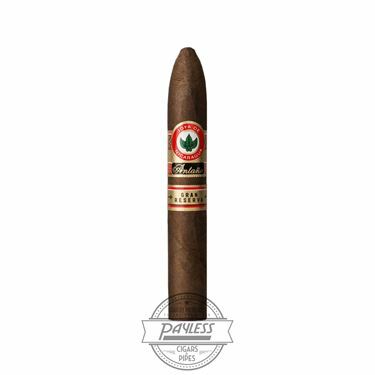 Antaño Gran Reserva centers around Joya's proud Nicaraguan heritage, using a Nicaraguan puro blend from the country's major growing regions (Jalapa, Condega, Estelí). This blend is often credited as the benchmark for the modern era of powerhouse smoking experiences. But the added age has noticeably rounded out the cigar's peaks and valleys, showcasing a more sophisticated and complex profile. Expect a medium-plus body and a prototypical Nicaraguan profile that has been fully fleshed out, revealing notes of cinnamon, prune fruit, molasses, savory meats, fiery black pepper, and brown sugar.